Manchester United are being linked to a number of top players ahead of the summer transfer window. Saturday’s 2-1 victory over Liverpool has given us a five-point lead over the Reds who are down in third, whilst we maintained our lead over Chelsea and Arsenal in the race for Champions League football next season. Romelu Lukaku played a pivotal role in our victory over Jurgen Klopp’s side by bullying Liverpool centre-back Dejan Lovren in the build up to both of our goals. However, with Zlatan Ibrahimovic expected to leave over the summer when his contract expires, we are being linked with a couple of strikers. One of those is RB Leipzig star Timo Werner. The 22-year-old has scored 17 goals in all competitions for the Bundesliga side; 10 goals in 24 league games, three in six Champions League group stage matches, three in three Europa League matches and one in two German Cup matches. Timo Werner scored 21 goals in 33 Bundesliga games in helping Leipzig to a surprise second-place finish last season. He has since been capped by Joachim Low 10 times at international level, scoring seven goals. However, Werner has told Premier League clubs not to make an offer for the German international over the summer. The RB Leipzig star has also been linked with a move to Premier League rivals Liverpool. 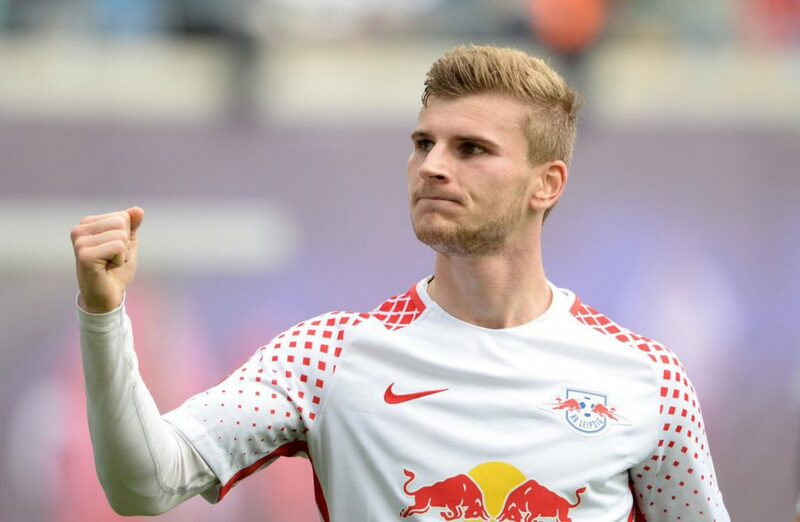 Timo Werner has just over two years left on his contract at the Red Bull Arena, so don’t be surprised if we are linked with the German striker next season.